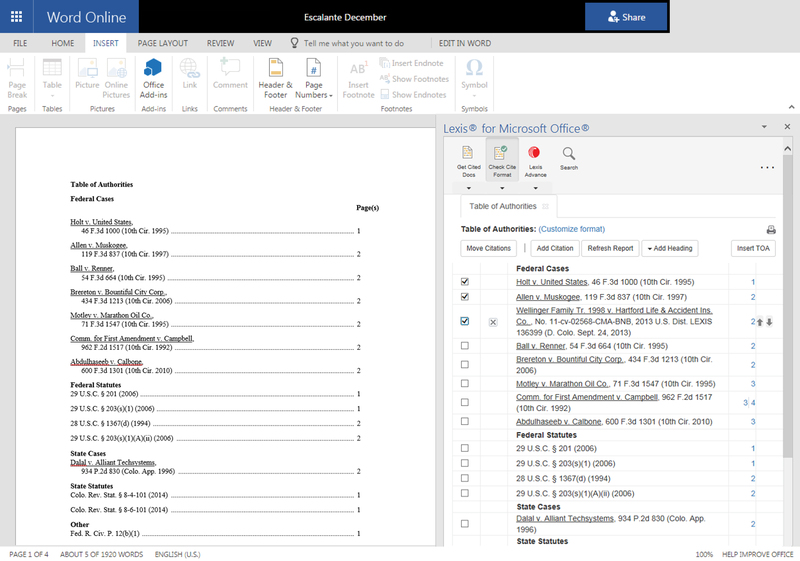 At Legaltech in New York today, LexisNexis is unveiling a new cloud-based version of Lexis for Microsoft Office that is natively designed to work with Microsoft Office 365. The new version provides direct access to Lexis research and citation tools from directly within Microsoft Word Online from both desktop and mobile devices. This should be welcome news to Office 365 users. This new version delivers the functionality of Lexis for Microsoft Office together with the convenience, security and collaboration features of Office 365, which is compatible with any operating system and can be used from any device, desktop or mobile. If you are not familiar with Lexis for Microsoft Office, it is an Office add-in that allows users to access research tools from within Office applications. From within a Word document, for example, a user can perform research in Lexis Advance, link to and retrieve cited documents, validate research using Shepard’s Citations Service, and create tables of authorities. 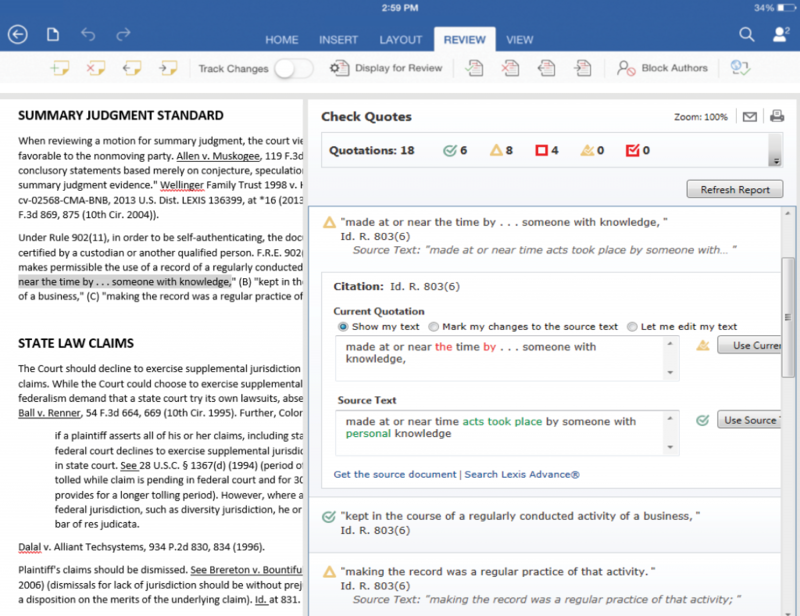 It also includes tools for checking citation formats and quotations and for proofreading legal documents. While previously available only in desktop versions of Office, today’s announcement extends this functionality to Word online in Office 365. Notably, the Office 365 version does not use add-ins like the desktop version, which can weigh down an application’s loading time. In Office 365, these features are available on an on-demand basis, which should improve their performance. Search for and find legal entities, terms of art, citations and more. Validate cited sources with integrated Shepard’s Citations Service. Link citations within your document to content in Lexis Advance. Efficiently match and set citation format requirements. Validate quotes against source documents. Conduct legal research using Lexis Advance. Store and safeguard Word files in the Microsoft Cloud. Prepare and organize tables of authorities. 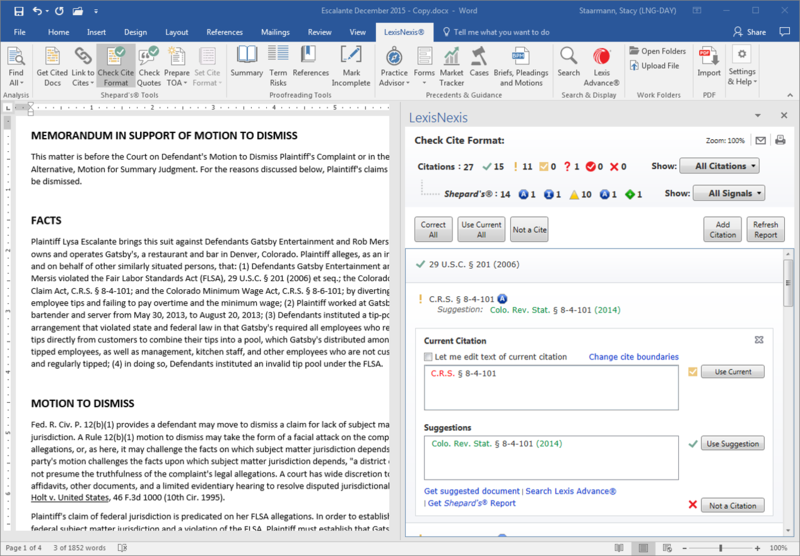 LexisNexis will continue to offer the original desktop add-in version of Lexis for Microsoft Office.